A natural assumption would be that the Kimberley area of Western Australia would be rugged and untamed. For most part this assumption would hold true. For El Questro however I found this not to be so BUT I was very pleasantly surprised to find it quite civilised. 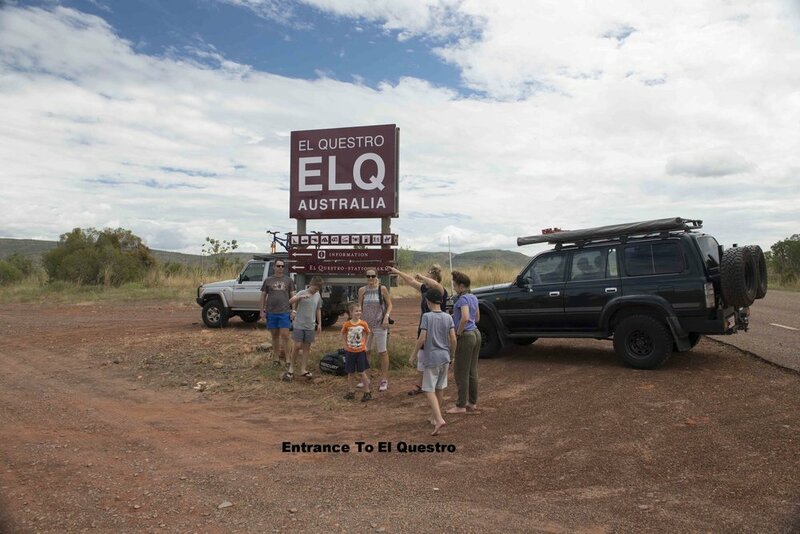 Regarded as one of the great Australian 4WD tracks, the Gibb River Road is now sealed from Kununurra to the entrances of both El Questro’s Emma Gorge and El Questro Station. A two-kilometre gravel road gets you to the car park and Emma Gorge’s safari- style tented cabins. The open-air, Emma’s Restaurant is a great place to have a feed or a drink after hiking up the gorge. The surprise! No fully kitted out 4x4 required, in fact from Kununurra to Emma Gorge your normal family sedan would be more then adequate. Travelling to El Questro station however does require a high clearance vehicle; a fully kitted 4x4 would do, but may be considered a bit of overkill. A Bitumen road now extends from Kununurra (including the first 36 km of the Gibb River road) to the turn off to El Questro Station. A 16 km graded dirt road will get you from the Gibb River Road to the station. This is a good road bar the corrugations and river crossings. The river crossings appear to have been tamed by filling and grading with naturally occurring river cobles and stones. We arrived late in the wet season just after the station had opened to the public. Several shallow river crossings were made on this section of road and I suspect most of these will dry up as the season progresses into the dry period. The last river crossing just before getting to the station is the Pentecost River. This is the deepest (probably about 40 to 50 cm) and the wides crossing on this section of road. On arrival at the station very well dressed, manicured and polite staff received us. The well-trained and very helpful staff are a refreshing surprise from a lot of the venues visited in the NT, well-done El Questro. 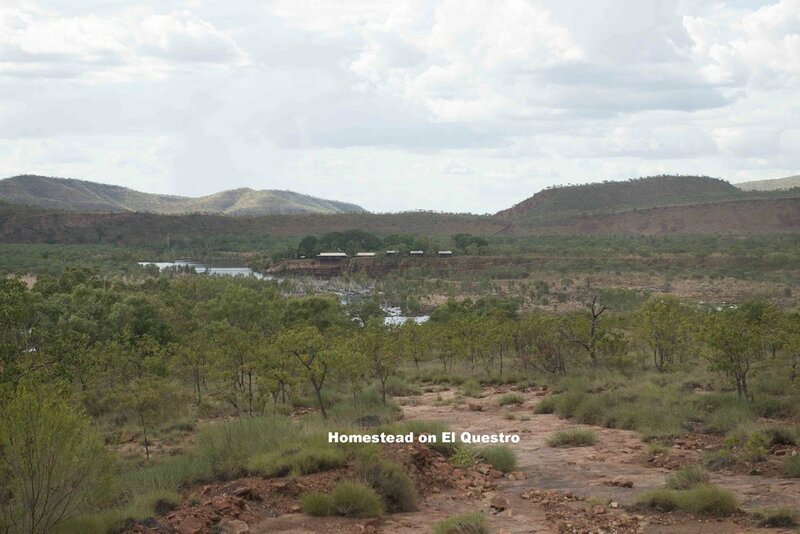 El Questro is located 110 km west of Kununurra in the Kimberley region of Western Australia. This working cattle station with approximately 5000 head of cattle is 1 million acres (4,047 km2) and provides a wilderness destination for tourists. Guests are spoilt for choices with 4WD tracks, gorges to hike and look out points to enjoy sundowners at. The roads are generally well maintained with water crossings proving to be the main obstacles. An abundance of other activities are available, fishing, hiking, horse riding, helicopter tours and boating. A great destination for those with and adventurous spirit. We arrived at the station on the Easter long weekend 2017 after a very good wet season. 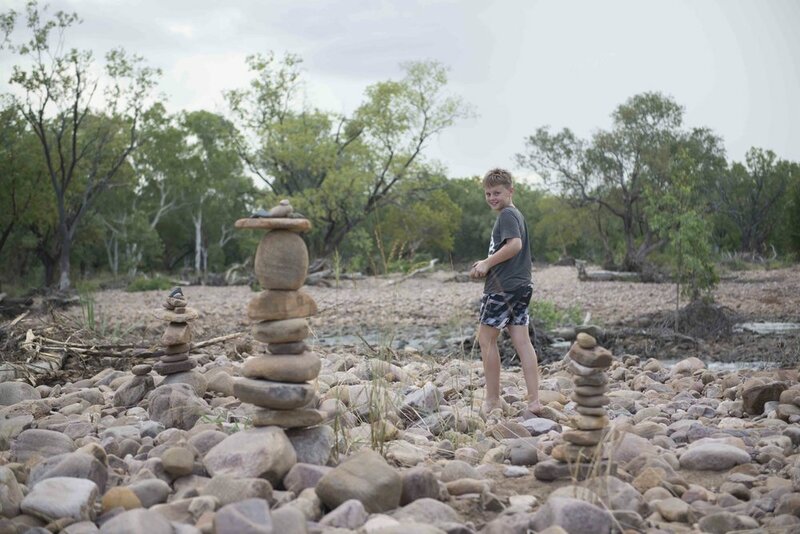 Several gorge walks and 4 WD tracks were still closed this early in the season however we were still spoilt for choices over the four days we were there. Below are some of the hikes and tracks we were able to take. One of several gorges on El Questro Station that are open to hikers. The 1.7km hike up Amalia Gorge is easy with a pool half way and a fresh water crocodile that did not dissuade bathers taking a dip in the crystal clear water. The waterfall and pool below the falls are well worth the short hike. A moderate 4WD track of 9.3 km from the station that initially crosses the Pentecost River and ends with a moderately steep climb up a graded track to the viewing platform. The lookout provides a stunning view of the Pentecost River as it cuts its way through the landscape. The towering red stone cliffs provide a great backdrop reflecting the afternoon sun onto the river. This track does continue to Pigeon Billabong but this was still closed (early in the dry season). Just three and a half kilometres from the station makes this an ideal spot to sip sundowners and enjoy the sunset. Cross over the Pentecost River and tackle the 2.5 km of steep winding track to this high vantage point. The track is graded but remains steep with some short sections that are rocky and steep. El Questro advise only confident and experienced wheel drivers do this track. Once at the top a viewing platform with pick nick tables are provided. The views are spectacular and provide a good perspective of the station. Only open to the public in the morning and with limited space. It is advised that if the car park is full, then the springs are likely to be full. Try again the next morning? A short easy 1 km walk gets you to a palm filled valley with warm (not hot) water springs emerging from the side of the hill. 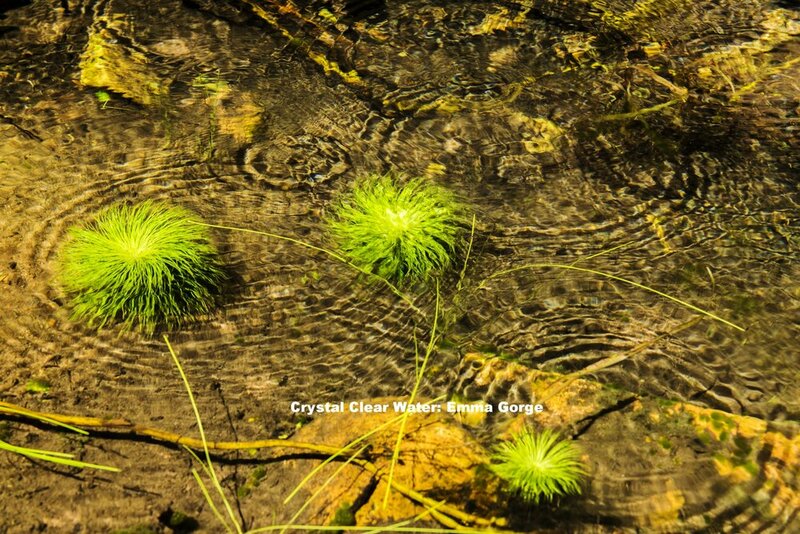 Small rock pools are available to relax in the warm water. A relaxing experience.